Home›Opinion›K-15 missile as ASBM - "Brahmastra"
In this article I will explore the possibility of developing the K-15 missile into a submarine launched anti-shipping ballistic missile (ASBM). I believe this can be achieved and that once completed it will provide the Indian Navy with a true “Brahmastra” (in indian mythology it is described as a deadliest weapon created by Brahma), a massive unstoppable area denial weapon. It will be even more effective than the much touted Chinese DF-21D due to submarine launch platform and hence hidden till the moment of launch. I shall try and explore both the promise and the practical possibility of such a weapon system in this article. Consider the following hypothetical scenario: Its year 2022, crucial negotiations between India and China are taking place after frequent border skirmishes and military stand-off at Indo-China border near Tawang of Arunachal Pradesh for past 3 years. Under the overhang of heightened tensions in Tawang region negotiations breakup and on a balmy morning in early 2022, to force the hand of India on Tawang, China sends the PLAN “Shi Lang” Carrier Battle Group (CBG) into the southern Indian Ocean as part of a naval offensive against the Indian Navy. At the heart of this battle group is the “Liaoning” the PLAN carrier which is protected against aerial strikes by her complement of J-15 “Flying Shark” Fighters which provide Combat Air Patrol (CAP) over the carrier and her escorts of three Sovremenny destroyers to take on surface threats, four Type-052C destroyers providing a formidable SAM cover to the group as well as four 054A frigates and a single 093 class SSN screening the seas 300 kilometers ahead of the battle group. The Indian Navy is ordered to decapitate this group in a single decisive strike with minimal losses to ships and equipment and the decision to use the “Brahmastra” is finalised. Within minutes a coded message was sent to the second ARIHANT class SSBN on patrol in the southern Bay of Bengal only 600km from the PLAN fleet and six K-15 missiles soon broke the surface of the sea and arched southwards towards the “Liaoning” CBG. Travelling at hypersonic velocities the six missiles closed the gap in a matter of minutes, the HQ-9 systems of the Type-052C fired furiously trying to neutralize the missile warheads as they arched down from the sky, two warheads were hit but then the sea shook as the "Liaoning" was thrown backwards by the massive force of a 1000 kilos unitary warhead exploding on impact upon its flight deck while a second hit the superstructure midships. The third warhead exploded in mid-air 200 feet to the right between two Sovremenny destroyers, the force of the blast causing the entire superstructure of both vessels to collapse while breaking in half a 054A frigate close to these vessels. The fourth fell directly on top of a Type-052C breaking the ship into two halves and blowing massive holes in two adjacent Frigates with the force of the blast and gutting the superstructure of another 052C a few hundred feet away. When the smoke cleared, two Sovremenny destroyers and three 054A frigates had sunk apart from two 052s, the Liaoning itself was sinking fast, for all practical intents and purposes PLAN CBG “Shi Lang” was no more”. The practical aspect of "Brahmastra"
Now that we have indulged ourselves and enjoyed the scenario presented above let us come to the practicality of creating such a missile. Can we do it? Is it feasible to develop the K-15 missile into an ASBM? Let us look at the pieces required to assemble this jigsaw. An ASBM is basically a regular ballistic missile updated to have a very small CEP and an ability to change course during flight based upon real time updates. An ASBM system at the very basic level consists of the following key components. 3) Real time data analysis, interpretation systems and software. The missile: The development of the K-15 missile began sometime in the late 1990’s and has been flight tested up to its full flight range numerous times, as well as from underwater pontoon launch platforms. Standing 10mt tall with a launch weight of only 6-7 tonnes the K-15 missile was always designed as a very compact SLBM, but with a mere 750km range it always was somewhat a misnomer of an SLBM providing very little practical strategic strike ability against any target deep in the Chinese hinterland. The K-15 missile, however is perfect for use as an ASBM. It is stealthy and can be launched form a submarine relatively close to its target thereby reducing flight distance and reaction time. It is also guided till the target and equipped with a very maneuverable reentry vehicle hence is a perfect candidate for in flight navigation updates. It already has a very small single digit CEP which indicates a very high accuracy and an ability to target relatively small objects like a ship in the open ocean. The sensor array: The key to all this is the IRNSS or the Indian regional satellite navigational system, this system once operational shall be the primary system providing geopositional information to the missile and launch platforms. It will consist of 7 satellites in a geostationary orbit over the Indian Ocean Region (IOR) supported by ground stations on the mainland. Being geostationary will make it relatively safe as the satellites do not have to overfly any hostile nations. By itself, the IRNSS can only guide and therefore we will need a whole battery of imaging and mapping satellites to keep an eye on any ships transiting into and around the IOR to pass the navigational updates to the missile through IRNSS. India possess this part of the puzzle in place somewhat with RISAT 1 and RISAT 2 satellites which will be able to provide near real time updates to ground controllers and handlers about hostile shipping in the IOR. However, both these satellites are in sun synchronous orbit, which means that they are not always over the IOR. RISAT 1, for example, orbits over India 14 times in 24 hours. What India needs is a couple of geostationary Synthetic Aperture Radar (SAR) satellites that can provide real time updates via secure data links to their ground stations. SAR in itself can provide RADAR surveillance over a large swath of territory however we will still need satellites with electro-optical sensors to provide more detailed data in real time along with over the horizon radar and UAVs. Some of this gap is filled by the CARTOSAT series. Another addition shall be ELINT satellites listening to the huge amount of electronic chatter generated by a carrier’s flight operations. The OTH Radar or X-band Radar is another game changer which provides very long range detection of enemy fleets and missiles. It was first reported by the tribune in 2010  that India was looking for this asset, however how far we got to actually getting it is unknown. This asset is required as it can provide real time radar data for thousands of kilometers, for comparison please note that the Israeli Green pine RADAR we now deploy has a range of only 500km. The persistent coverage provided by RADARS and satellites can be augmented by UAVs and maritime surveillance aircraft for a more detailed and clear picture of hostiles. The manned aircraft in question is undoubtedly going to be the "P-8I Neptune" while the unmanned platform in question is presently the "Heron" and the "Searcher 2" UAVs operated by the IN presently, however this will have to be upgraded to a more persistent real time 24x7 reconnaissance ability in the near future. Real time data analysis, interpretation systems and software: Much of this capability already exists as most of the satellites in question are already in operation, what remains is to expedite radically the rate at which data can be analyzed . This primarily depends on one thing only “Brute computing power”. India has been at the forefront of many computing milestones in the recent past and systems like the PARAM 500 will no doubt play an important role in the same. 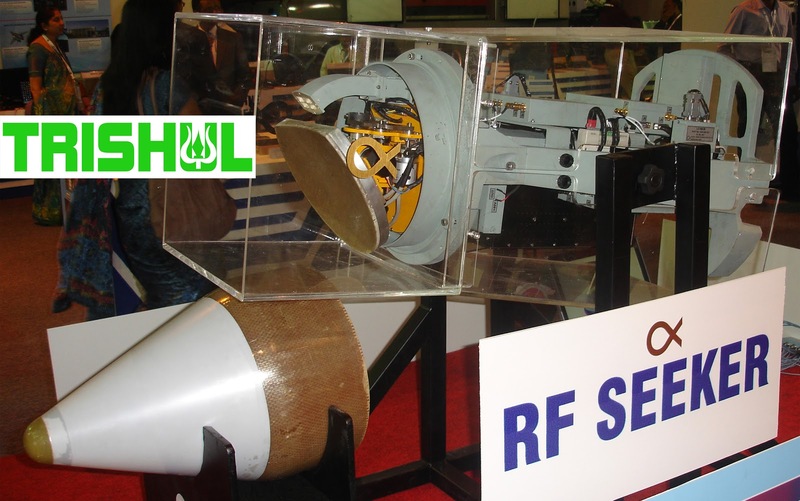 Items crucial for the terminal guidance phase of the missile are missile borne SAR (synthetic aperture radar), MMW (millimeter wave radar) and imaging infrared sensors, however little information is available in the public sphere on Indian efforts regarding this. However all said and done the claim of single digit CEP and terminal hit guidance for the K-15 missile indicate that these are already in place. In addition to this, as the K-15 missile already is a quasi-ballistic missile flying through the atmosphere for most of its flight duration and guided at the same time, I believe that the DRDO scientists have already gotten around the problem of electromagnetic interference caused by superheated plasma formation around the missile body during flight. This is a major achievement considering that it took the Chinese scientists working on the DF-21D a long time to master it. All in all, I’d like to conclude by saying that the technology required for a nascent ASBM already exists within the nation but what remains to be seen is for it to be operationally deployed, which again remains a matter of policy and not of analysis. Note: All opinions expressed in the article are solely of the author and all information is from open sources only. Your drawing board analysis of a K-15 Brahmastra potential as ASBM sounds definitely interesting. While I am not qualified to comment on missile technology in war-time scenarios, pardon me if I still venture few general words of caution. a)	Only couple of years ago China, with no documented history of macro-computer research or development, took the U. S. and the world by total surprise by unveiling a supercomputer with m-flops faster than the best U.S. supercomputer existent hitherto. Only very recently did the U. S. come up with a matching one with a competitive edge over the Chinese. Hence, India simply can’t sit complacent with PARAM 500. Important not to lose sight of is, in high-tech military duel, with missile-naval involvement, the computation processing speed – software & hardware taken together- can add to a decisive winner. Quality GaAs solar cells for our satellites are probably still imported from Europe or Japan, may be now also from U.S. after embargo lifted. India needs a commercial sector established for these for quality stability and supply security, not the standard Govt. machinery. Both China and Taiwan are ahead of us in this field, judging from scientific publications and other indicators. II. China knocked out (destroyed) its own satellite in space about 3 or 4 yrs. back, just to message to the U.S. that this potential could come in handy in case U.S. foists a war on China. We should not dream that China wouldn’t dare eliminate our satellites in case of confrontation. Here the proof will not be in the pudding. Who is going to police a vast area as outer space to handcuff the criminal, as to who hit whom? It could have been a minor meteorite, space debris or anything else thinkable. No wonder the U.S. was furious over this Chinese self-demonstration ‘happily’ publicised. III. We still haven’t progressed to be on a par with U.S. or Russia in stealth technology or for that matter in a broad spectrum of frontline materials research, i.e. fabrication of new materials & alloys of great application in defence. Hard toil aplenty lies ahead. We don’t know how far China has progressed in this key sector, underwater-fired stealth missiles from stealth submarines for e.g. So it would be wise to go into closer cooperation with Russia on this. War scenario operational success vis-à-vis China gains then credence once we are sure what technology quality manifest in their weapons China will display at battle fronts. Infra-structurally, we now seem standing bit afar. Rosy games won’t help. Sir, i am extremely elated to receive a reply from someone as highly regarded as you defence circles for this article. I am not a professional and have just started to write based on whatever information i can find from open sources, your one reply to my second article ever has encouraged me and helped me increase my knowledge manifold thank you for the same. I agree with you that we cannot afford to rest on our laurels , defence technology is a fast moving field and what is cutting edge today is often rendered obsolete only a few years down the line. Just the other day i was reading about american research into salt water antennae that could potentially render all known transmitting antennae obsolescent. I do not say the PARAM is paramount rather i say it is only the first step towards building even faster machines, as far as ASAT weapons are concerned we are far behind AFAIK.I also stand by your assertion that a BRAHMOS type JV to build and develop such an ASBM would be much better than going it alone , however would that not bring it under the MTCR? If the K 15 can be fitted with the Brahmos radar, then no reason why it cant be converted into the ASBM. Else, the problem of updating coordinates for a mobile target will remain. The answer to your question is right here on DFI , page 15 of the Nirbhay thread specifically the picture showing the Missile borne SAR for Nirbhay! Any scenario with a “win” for India, however fantastical, makes my day. Having said that, I will feel a lot better if we could add the multiple warhead capability to a hypersonic K-15. I do not think any 2 ships in a CBG normally travel so close as to be completely blown away by a single warhead…specially in hostile waters. While 6 K-15’s with 1000 Kg warheads could effect kills, imagine the damage that 6X8 100Kg warheads could do while overwhelming the anti-air defense systems. I am sure with that kind of damage, the next thing that the CBG will be doing is turning around. India does need to work on multiple warhead separations at those speeds, not to mention that the entire concept of MIRV is not tested yet. But we should look at that as a definite game changer. MIRV’s when they come in shall be a definite game changer for sure, look forward to those getting incorporated into the K-15. Enjoyed the article, though I do not understand the nuances of the defence industry. There are few more situations to consider here. Looking at 2022, if you look at China’s per capita is ~5000 dollars versus 1300 dollars of India. There recent open declaration (not to ignore the undeclared amt), is three times the size of India. China’s mobilization has been fast, compared to scams and operational ineffectiveness through the hierarchy. Whilst we have brilliant soldiers and human resource. India does not have an “Grand strategy” to target at. Now on this K15 missile, one of the senior persons mentioned that this success is not of strategic use, but of technological advance. It is too naive to load your submarines or ships with a mere range of “700 Kms”, we will be risking our submarines, which are lot more expensive and critical. So, while the missile is the first step towards building such missiles, we need to better equip ourselves in terms of electronic and CYBER warfare. So we should not get into a emotional upheaval stage of pride and me a lot more pragmatic at approaching China. OBAMA’s ASIA Pivot and Japan’s ABE’s Diamond Defense diplomacy is what India should be looking at right now, until our Per capita/ development index grows higher. The big question is.. Wat if China attacks? This is where INDIA needs to use diplomacy and global governance to repudiate China.